Eugen Klein T-Shirt 9295 71510, Cream and Blue, Jersey Knit. 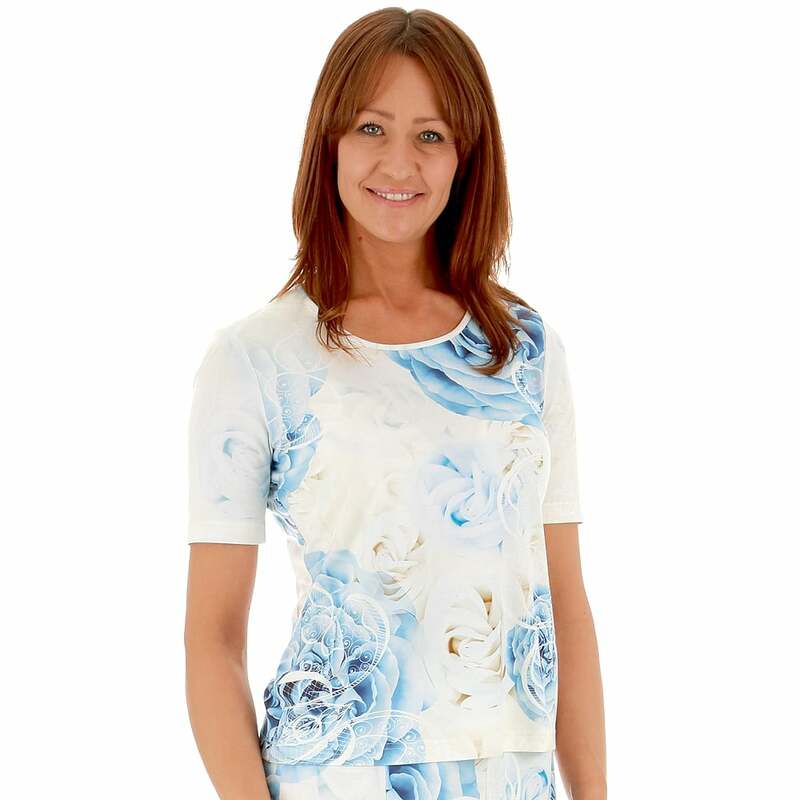 T-shirt, short sleeves, scoop neck, in an off white stretch jersey knit printed with a floral design in beige and blue. 93 percent viscose 7 percent elastane.